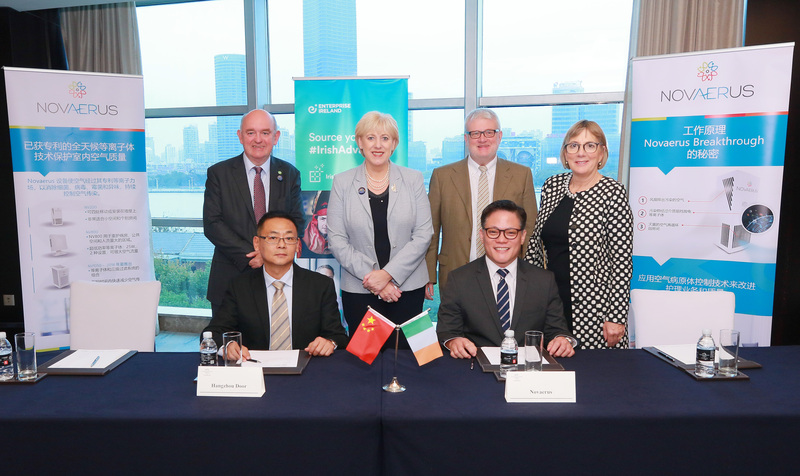 Recently, Novaerus attended a six-day Enterprise Ireland trade mission to China, led by Minister for Business, Enterprise and Innovation, Heather Humphreys TD. During the trade mission, Novaerus was delighted to announce a three-year distribution agreement with Chinese company, Hangzhou Dao Cheng. The deal was announced at the inaugural China International Import Exhibition (CIIE), the world’s largest trade exhibition. The deal is followed closely by another partnership with Chinese company Guangzhou Zhongyu Instrument Co., who will offer Novaerus patented plasma technology to China’s many In Vitro Fertilisation Clinics. Both partnerships reflect the strong commitment Novaerus has to the Chinese market, and the growth Novaerus is experiencing in the region.